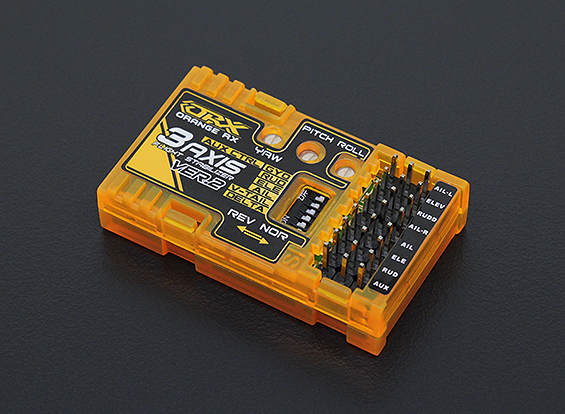 The all new RX3S OrangeRX Flight Stabilizer V2 adds support for V-tail &。 。Delta models， 。it also offers a remote ON/OFF feature that can be controlled via your transmitter's AUX channel. All of these great new features yet it's 。even smaller/lighter than the original! 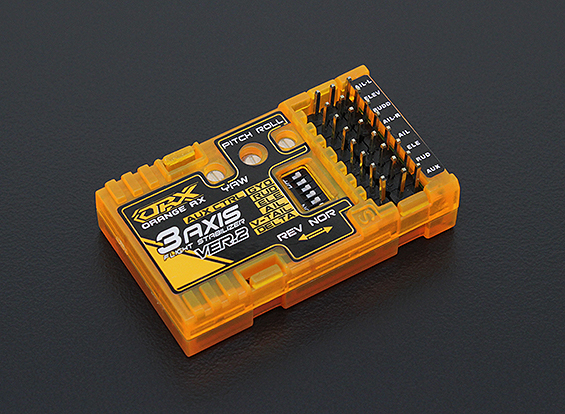 Utilizing a single high precision 3-axis MEMS gyro， the RX3S OrangeRX 。Flight Stabilizer V2 。is capable of stabilizing flight on just about any fixed wing aircraft! It provides added stability by automatically correcting the aileron， elevator and rudder channels in flight. This compensates for unwanted changes in the airplane's attitude due to wind and other factors. In short， it makes your airplane much more stable in flight! The RX3S V2 is great for those who tend to fly in windy conditions， as it will compensate for wind gusts that would normally push your model around. 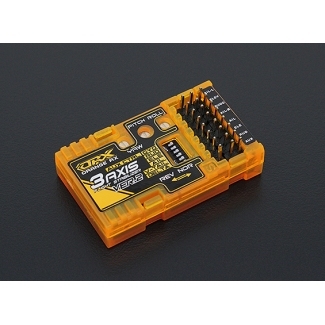 It's also an ideal add-on to your favorite FPV model to keep it on the straight and level while flying. This unit is very simple to install and use. The adjustable gain settings are pre-set to 50% offering mild stabilization. You can easily adjust the gain for each channel as desired to increase or decrease the compensation for the respective channel (AIL， ELE， RUD). Because we design， test and manufacture these units completely in-house (from 3D/2D drawing to materials sourcing， final assembly etc.) we can completely control production and ensure product consistency from design right through to shipping the product to you. Also， the removal of middle-men has meant we can drive better value to the market and retail these units at factory(our) prices!